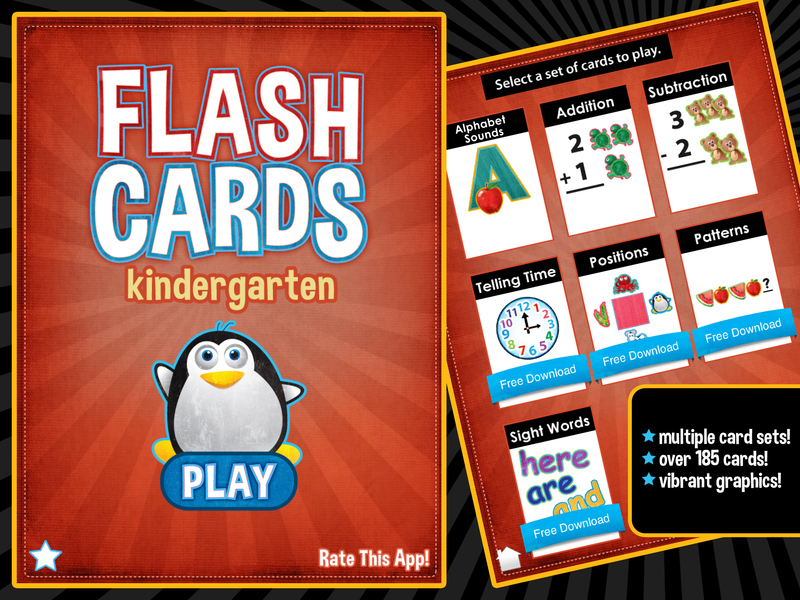 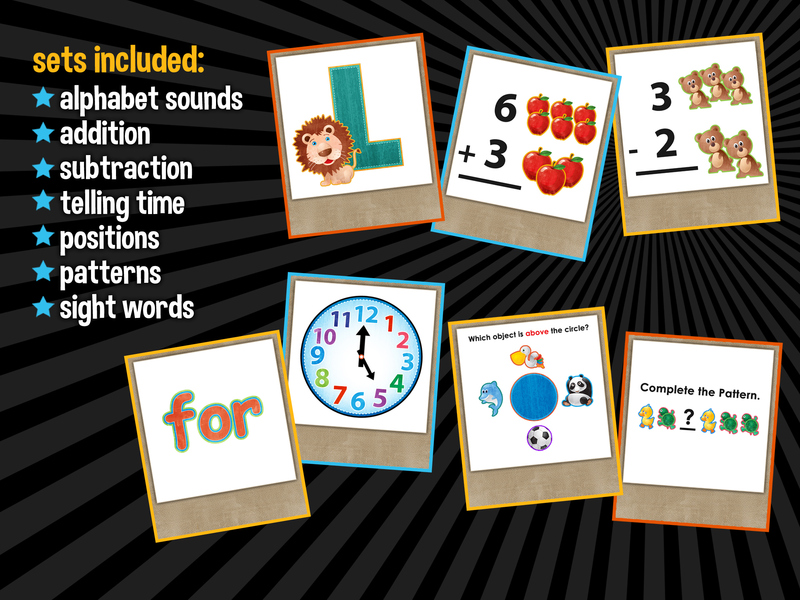 Flash Cards – Kindergarten is a new educational app from Learning Gems. 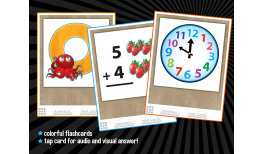 Filled with bright, colorful illustrations, it’s an engaging set of flash cards that cover a wide range of kindergarten subjects. 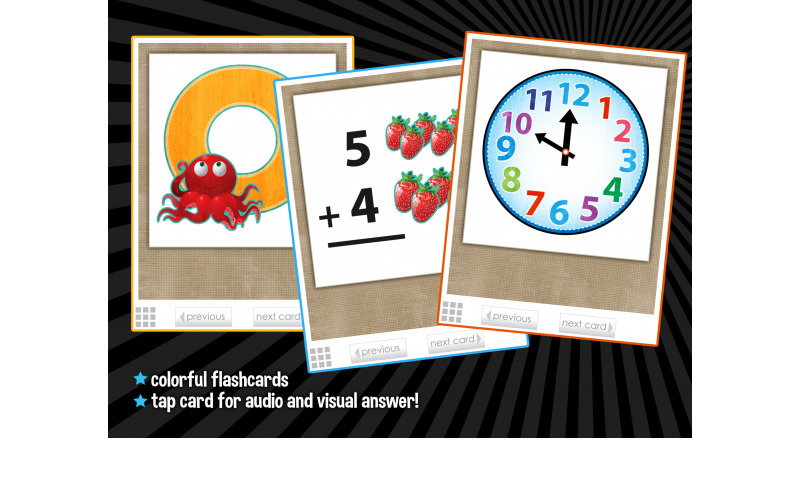 There are multiple card sets to choose from that include OVER 185 CARDS for your children to practice and learn from! 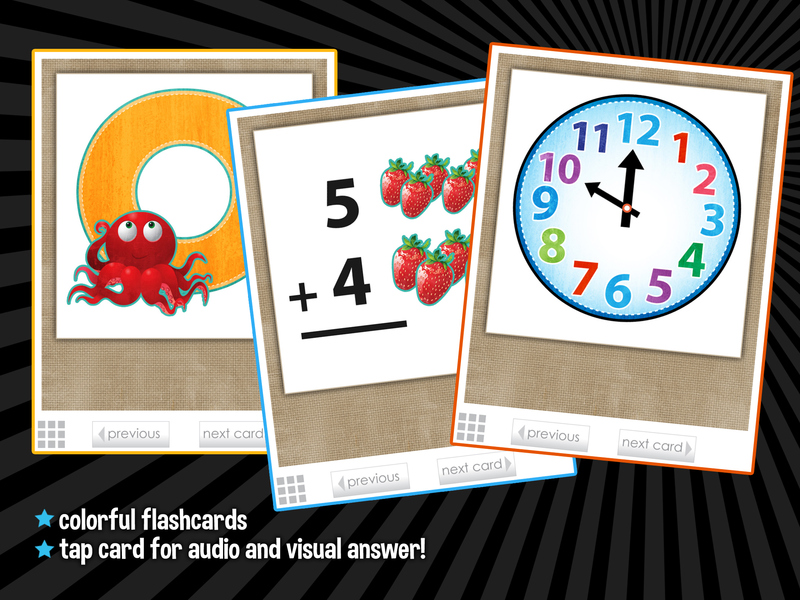 Simply touch the “card” on the display screen and you’ll get a visual answer, as well as an audio answer!! 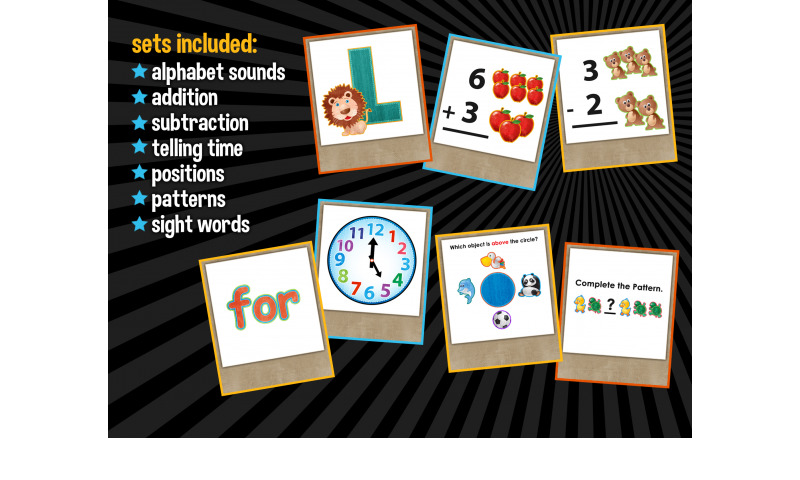 It’s great for introducing subjects such as addition, subtraction, and telling time. 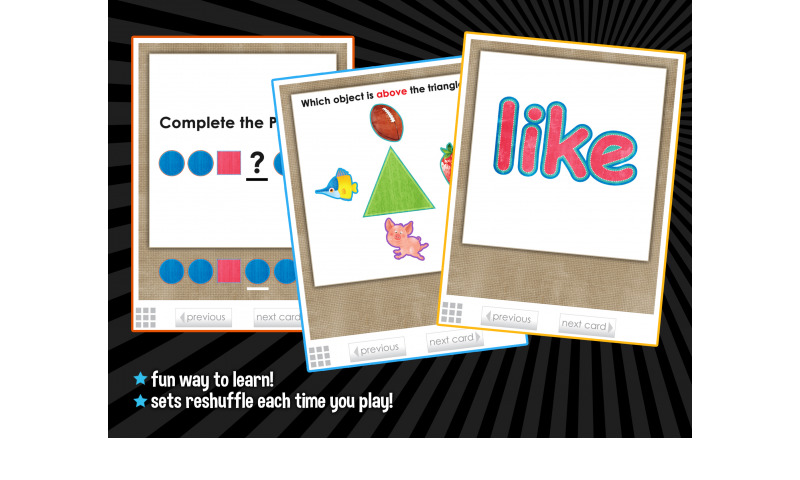 The game also reinforces your child’s comprehension and retention of subjects the more they play. 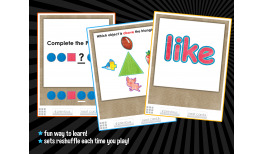 Your children will have fun with the cute characters, bright colors, and will enjoy the challenge of learning while building their confidence as they go. 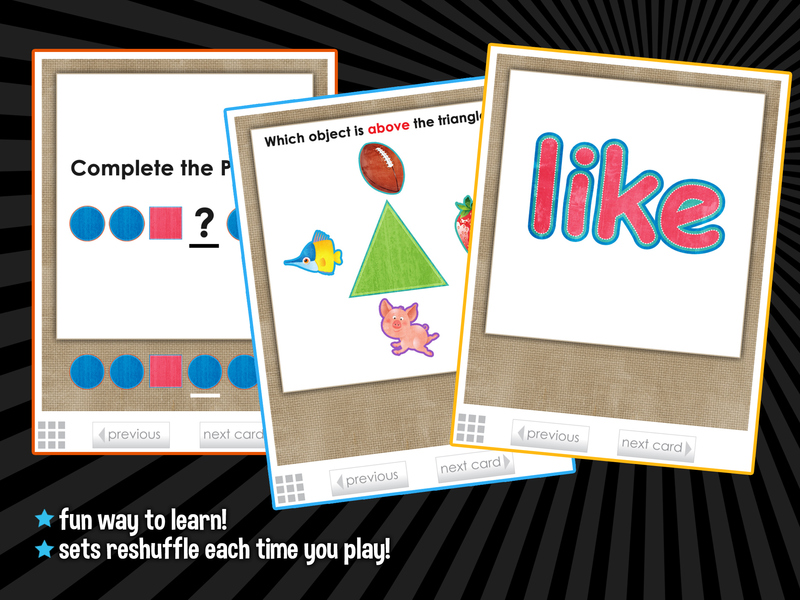 The cards reshuffle each time you play so it’s always a new challenge, which develops comprehension skills. 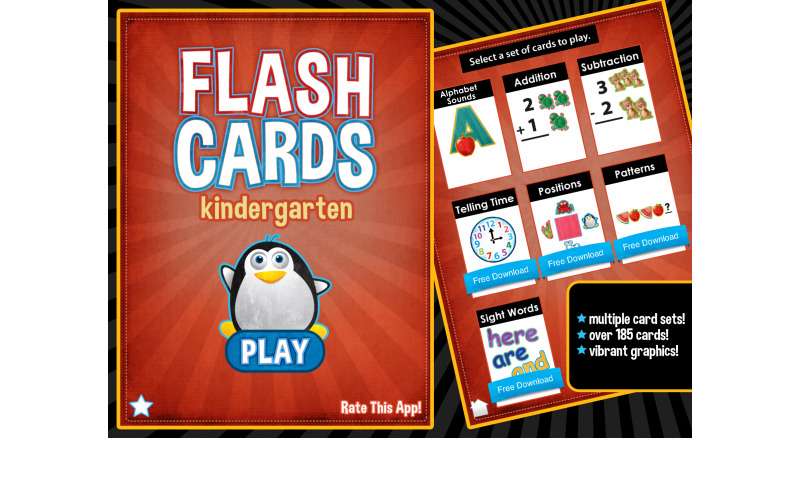 This is a great follow up app to Flash Cards – Preschool. 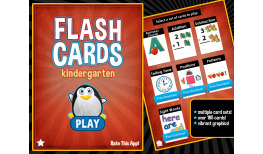 By building off the core subjects introduced in our first flash card collection, Flash Cards – Kindergarten expands your child’s knowledge with repetition and memorization in a fun, playful way. 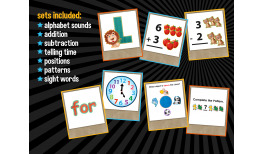 Covers core kindergarten subjects such as: alphabet sounds and pronunciation of each letter at the beginning of a word, along with recognizing words that start with each letter of the alphabet; addition and subtraction up to ten; telling time on the hour; positions – developing spatial reasoning skills; completing patterns; and recognizing common sight words.